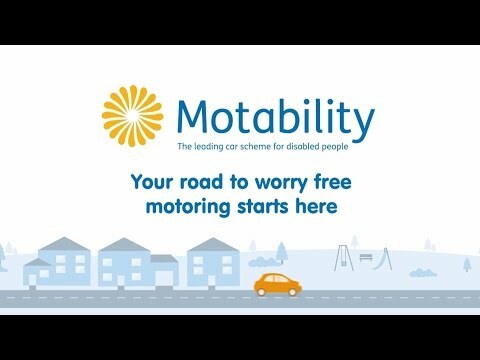 The Motability Scheme provides an affordable, worry-free way for people with disabilities to lease a car in exchange for their mobility allowance. The Scheme is operated by Motability Operations Ltd, under contract to Motability, a registered Charity. When you join the Motability Scheme you get more than just the car, you’ll enjoy all the freedom that comes with a truly worry-free lease. Driving adaptations can make a huge difference to your motoring experience. Many of the most popular adaptations are now available at no extra cost at the start of your contract hire lease. However some adaptations will require an extra cost in addition to your Advance Payment. The Motability Managed Adaptations Programme is always there to oversee the adaptations process and ensure all work is carried out by an approved installer. For more information about adaptations to your vehicle, please speak to our Motability Specialist. If you would like to book an appointment, our specialist Keith Johnson will be happy to sit down with you to discuss the Motability scheme and the cars that Volvo has to offer. He can also provide guidance regarding the options and adaptations which may be suitable for you. Simply click on the button below and complete the enquiry form and we will be in touch shortly. Alternatively you can give us a call on 01926 680 739. Metallic Paint Included. Offers available on the Motability Contract Hire Scheme. DLA, PIP or AFIP holders: These prices are applicable for recipients of the Higher Rate Mobility Component (HRMS) of the Disability Living Allowance (DLA), the Enhanced Rate of the Mobility Component (ERMC) of Personal Independence Payment (PIP) and Armed Forces Independence Payment. Advance Payment is the non-refundable amount payable up front to your Dealer in addition to your weekly mobility allowance. Weekly Rental shows the relevant amount of the mobility allowance that will be paid to Motability Operations each Week T/A (Total Allowance) means that the total amount of the mobility allowance is payable in exchange for your car. 60,000 mileage allowance over 3 years. Offer available from 01/04/2019 to 30/06/2019 subject to availability at participating dealers. Offer not available with other Promotions and may be subject to change. Terms and conditions apply and are available on request. Motability Contract Hire Scheme is administered by Motability Operations Limited (Registered Company No. 1373876), City Gate House, 22 Southwark Bridge Road, London SE1 9HB. Guy Salmon Limited t/a Tollbar Warwick is directly authorised by the Financial Conduct Authority (FCA) for consumer credit activities. Our Firm Reference Number (FRN) is 677636. Guy Salmon Limited is also an Appointed Representative of Sytner Group Limited, which is authorised and regulated by the FCA for Insurance Mediation Activities, under FRN 310540. We can introduce you to Volvo Car Financial Services and a limited number of other lenders to provide funding for your vehicle. We may receive commission or other benefits for introducing you to such lenders.